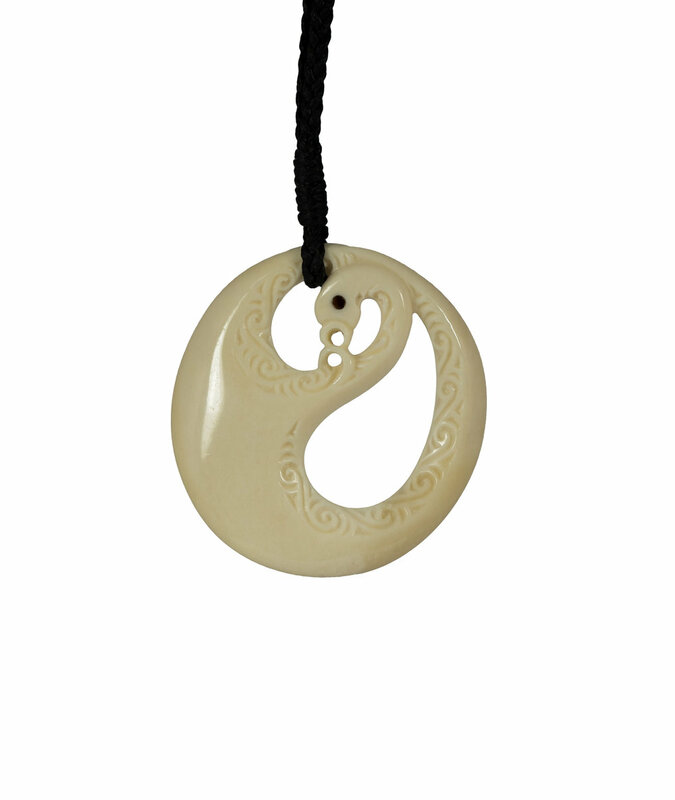 This Manaia is called 'Fertile Potentials' and is part of the fertility series of carvings symbolic of attracting the energy of fertility and to increase our good fortune and happiness. This carving symbolises the blank potential of fertility we have within our minds. It attracts the birth of new ideas, new life, new opportunities, and new happiness. Hence, the carving is a simple design and shows the large belly which is blank, ready to receive and grow the positive potentials we contain. The carving is adorned with Koru. The koru symbol is common in New Zealand and is inspired by the unfurling of the new fern fronds. Meanings associated with this are new growth, new beginnings and awakening. The koru on this carving are flowing up the inside of the wings of the carving bestowing the energy of fertility. They also represent a journey. This is an internal spiritual journey towards attaining the realization of our ultimate nature.